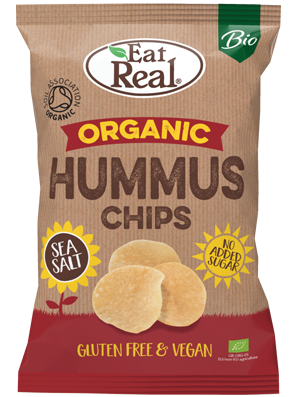 Eat Real Hummus Chips Sea Salt is ideal for the whole family, great for dipping and sharing. It is free from artificial flavours, colours or preservatives. Available in: 100g sharing packs.